Morning, I am having a bit of a dilemma! My good lady & I like to do a bit of camping around the UK. I currently own a HT 90 with roof bars/roof box. I also use a Oztent RV4 that goes on the roof to. 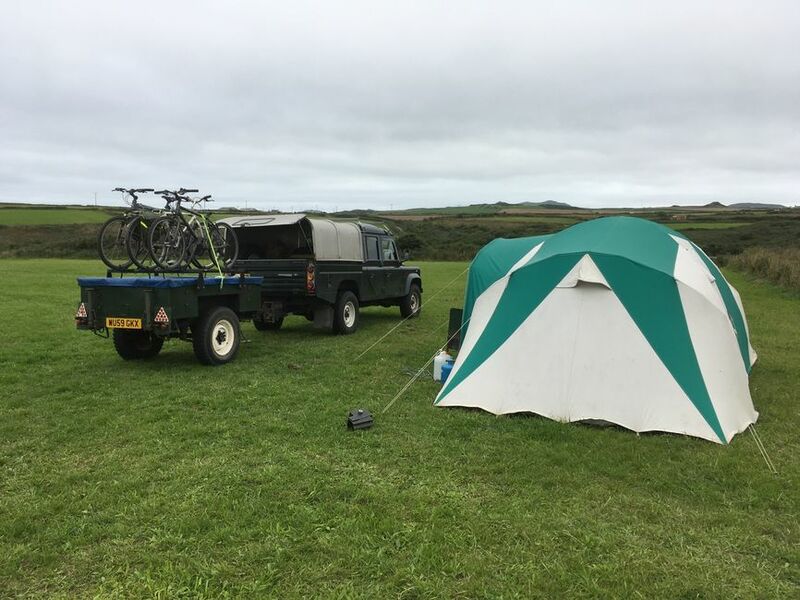 Now we are wanting to take our bikes away with us on these trips, currently i don't have anyway of putting the bikes on the landy, i am not comfortable with the bikes being put width way on the back of the spare wheel due to the type of MTB we have. I have been toying with the idea of buying a Penman trailer, making a hard lid for it and securing the bikes that way and the other equipment. Is there any other trailers out there that i should consider, as my concern is having a Nato hook and not a ball on the landy then restricts me trailer wise, sometimes i pull other trailers and potentially will be pulling a car trailer in the future for my next landy project. 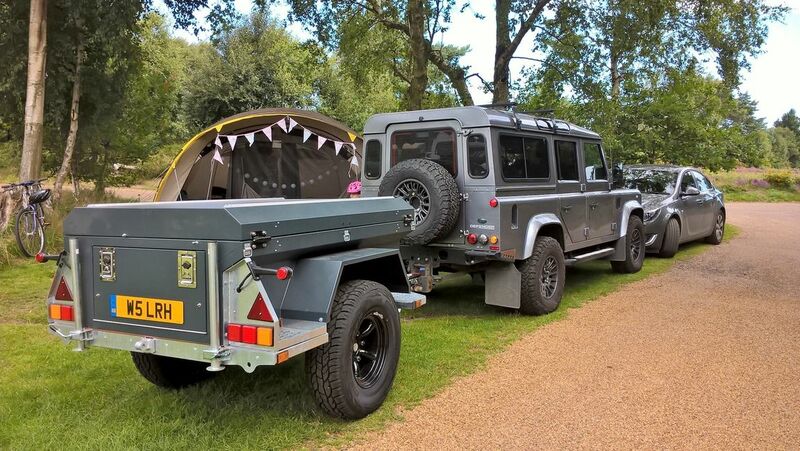 Any ideas are gratefully received, unfortunately I'm not in the money realms of one of these adventure trailers. 2007 2.4 90 fettled & remapped. I share your concerns on Nato hitches (I'm sure they're fine and many people use them but...). I therefore snapped up this trailer when I saw it for sale second hand. It just ticked all the boxes for what we wanted and we're very pleased with it. It does need quite a bit of weight in it to stop it boucing, but thats not normally a problem with our camping. It's great becuase all the camping gear lives in it so we just pack a bag, hitch up and go. The trailer was custom built for the original owner by Paranoid Industries. I use an early narrow track Sankey which was converted to 50mm ball before I bought it. the last 15 years with it. Unless you need the rugged capabilities of the Penman, or you just really want one, then you'd be better off with a more regular box trailer. It'll be a lot lighter, easier to store and manoeuvre, and use a 50mm tow ball. Thanks Gents for the replies, lots of food for thought to the point of even changing the Landy for something else.... 2007 2.4 90 fettled & remapped. If you fitted a receiver hitch like the Safari Equip one, you could very easily swap between NATO and normal tow ball. Or I think you could do something similar with the adjustable height Dixon Bate sliders, have two slider and swap them as required. The dixon bate sliders are my preferred solution, nice and easy to swap over!